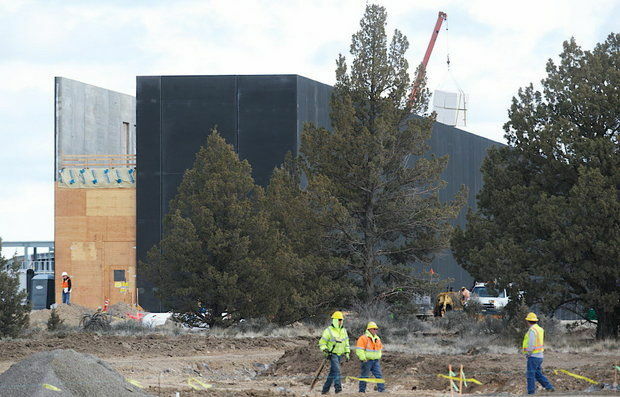 Apple is now planning to move forward with its data center plans, according to Judge Mike McCabe, Crook County's top administrator, although exact details surrounding the project are said to remain under negotiation. "They're planning on a major, major expansion," said McCabe. "They haven't shared it with us," he said, "and we haven't seen the plans." I have never though of Oregon as a particularly sunny place for a solar farm. I am no expert, but I guess they would need more panels to collect the same energy compared to a solar farm in say Arizona. Can anyone opine on my guess here with facts? It would be interesting to understand how location affects solar panel surface area requirements. Thanks! Prineville is located in the high desert of Central Oregon, east of the Cascade mountains and rain-shadowed from the relentless rains of Western Oregon.